It’s safe to say that the life of every person is at some time touched by cancer. That is the unifying factor in the 5th Annual “Sing for Siteman” benefit concert. 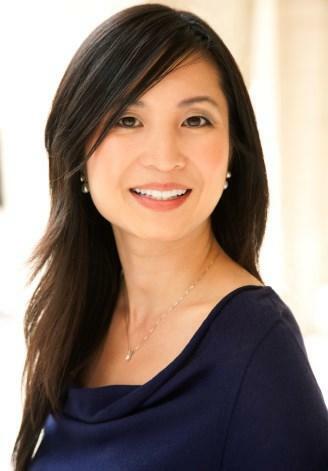 Eight principal singers from Opera Theatre of Saint Louis’ 2014 season will perform in a concert directed and accompanied by pianist Carol Wong on June 9 to benefit Siteman Cancer Center’s Discovery Fund. The emcee will be St. Louis Post-Dispatch Classical Music Critic Sarah Bryan Miller. A discussion about a concert by Opera Theatre of Saint Louis singers to benefit Siteman Cancer Center's Discovery Fund. Miller, Wong and “Sing for Siteman” co-chair Kim Eberlein joined Steve Potter on Cityscape to discuss the concert and their reasons for participating. Wong’s father died of cancer in Hong Kong. “I never really forgave myself for not being there when he died and I created this concert actually to honor him. My mother is also a cancer survivor as well,” she said. The benefit concert features eight Opera Theatre of Saint Louis singers including Stephanie Blythe who will create the role of Gertrude Stein in the world premiere of Ricky Ian Gordan’s 27 beginning June 14. She will be joined by Rene Barbera, Susannah Biller, Patrick Carfizzi, Sean Panikkar, Levi Hernandez, Elizabeth Zharoff and Tobias Greenhalgh. In assembling the program, Wong’s goal was to create an evening that she would want to attend, which would be fun. “We have every voice type. We have all ages of singers and we have very serious music, French melody, German lieder, Rachmaninoff, but we also have musical theater, “ said Wong. There’s also a selection by John Lennon and one by Ricky Ian Gordon. “I think there is really something for everyone in this program,” said Miller. A dessert and wine reception follows the concert when audience members will have the opportunity to mingle with the singers and hear their stories. “Sing for Siteman” begins at 7:30 p.m. on June 9 in the new Performing Arts Center at John Burroughs School in Ladue. More information is available at (314) 961-0644 or on the Opera Theatre of Saint Louis website. Night after night, St. Louis opera lovers gave Rene Barbera standing ovations for his expressive, lyrical, tenor voice. 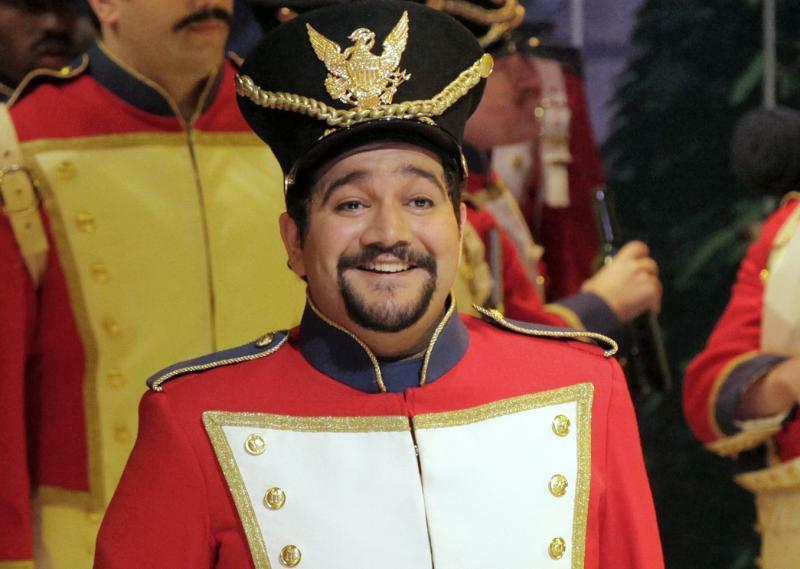 That was three years ago at Opera Theatre of St. Louis, when Barbera smoothly delivered an aria's nine high Cs as Tonio, in Gaetano Donizetti's "Daughter of the Regiment." He made the joyful high notes seem effortless. Before the Texan left St. Louis that season, the Opera Theatre's leadership decided to stage another Donizetti opera, specifically to bring back Barbera's expressive voice. 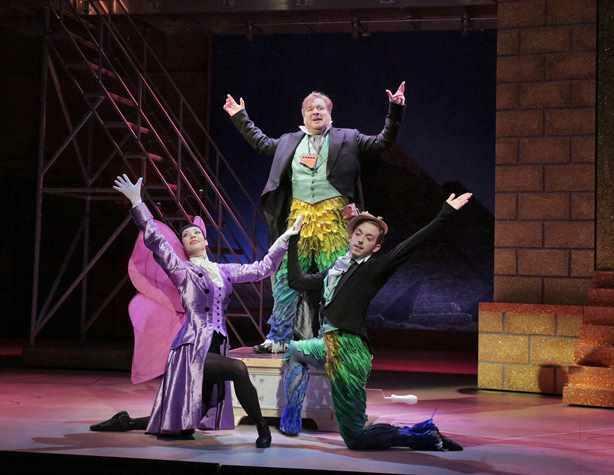 A new production of an old favorite opens Opera Theatre of Saint Louis’ 2014 season. Fashion icon Isaac Mizrahi returns as director and designer of Mozart’s The Magic Flute. Opening May 24, the production features tenor Sean Panikkar in the role of Tamino and noted Mozart expert Jane Glover conducts.